Sam was born with a rare genetic disorder called Acrodysplasia, a common form of dwarfism. As a child, he was also diagnosed with the inflammatory bowel condition Crohn’s disease. The young actor spent a majority of his life in hospitals and doctors’ offices for dozens of operations and tests. In a past interview, Humphrey admitted that he had attempted suicide several times, but with support from his family, his faith and his resilience, he was able to overcome his challenges and pursue his dream of becoming an actor. 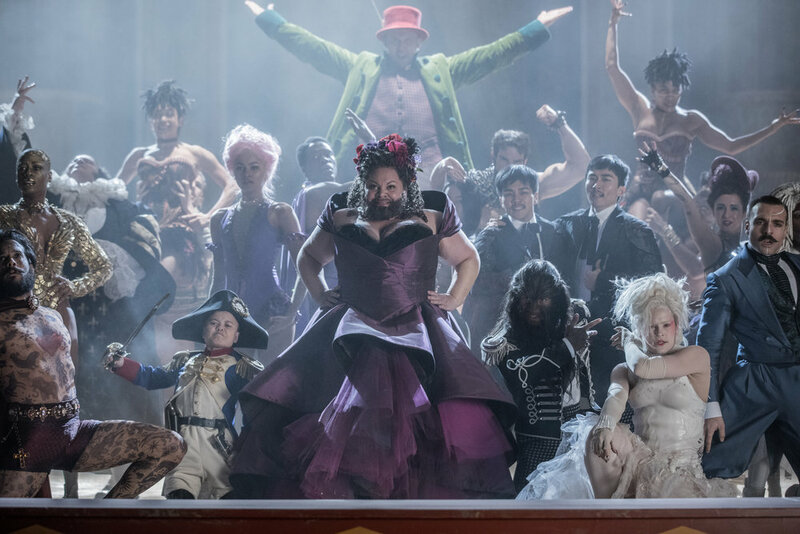 PG: What was your biggest challenge while filming on “The Greatest Showman”? S: Well for me there were many challenges but I would say that the biggest challenge was learning the dance choreography and the singing; we spent 3 months in rehearsals learning all the choreography and the songs. It was very tough as I’m not a natural singer or dancer. I personally spent my days off rehearsing the dance movements and the song. I also found it quite challenging to learn to walk on my knees; it was quite a physically and mentally demanding task especially when most shooting days were at between 10 – 18 hours. S: My favorite fan encounter so far would have to be when I was at the Golden Globes. When I was at the top of the red carpet, this cute little girl who was wearing a red dress was having family photos before walking the carpet; when she saw me she smiled a cute little smile and waved at me. Later during the evening at the HBO after party, I was walking down the carpet doing photos and interviews when my publicist had mentioned that there was a fan who really wanted to meet me and was at the end of the carpet. It was the cute little girl from the red carpet that had smiled and waved at me, she was quite star-struck and very happy to have her photo taken with me. It was cool, because she saw earlier and was very cheerful to see me and I’m glad I could make her night. PG: Sam you’ve become an inspiration for not just those diagnosed with disabilities, but millions all over the world fighting to pursue their dreams. – What advice do you have for anyone overcoming hardships to chase their dreams? S: Some advice that I would give is to follow your heart, but also be realistic for example if you want to be a race car driver but you’re blind; it’s very unlikely that it will happen. If this is what you really want in life, then chase the dream until you catch it. Keep pushing forward, don’t give up. You can re-write the stars, your fate and destiny is not set in stone, it is up to you to decide when and how you will peruse your dream. Remember every no gets that much closer to a yes, especially in the acting industry; there can be so many factors in why you didn’t get the part… I have discovered that you need to have the right people around you to help you grow and to challenge you, having mentors which inspire and challenge you is a big part of how you will succeed. So having mentors around you are important but I think resilience, confidence and determination are the keys. The lessons I’ve learnt over the years to overcome hardship, is that your attitude is a huge factor is overcoming hardship; there are those that get dealt a bad hand but they chose not to let it affect their outlook on life nor does it stop them from achieving their goals and dreams. Use your challenges and hardship to help impacted the world in positive way, be an influence and an inspiration to the people around if not the world. Fan Question From Alexis Holland: If you were to take on the role of another character in the movie, who would you play any why? S: I honestly couldn’t think of taking on another role in the film, because my character’s story not only resonates with everyone but parallels with my own life’s journey and the hardships I’ve overcome; which I think is quite important and special to me that it parallels with the experiences which I’ve faced. Fan Question from Hannah Bowens: What or who made you want to start acting? S: So I starting wanting to get into acting when I was 8 years old which was when I first saw Hugh Jackman on screen for the first time in X-men, now I can’t exactly tell you why seeing him on the big screen resonated with me so much; perhaps it was because I wanted so badly to be wolverine like every other 8 year old boy but either way it struck an accord me and inspired me to pursue acting for real. So Hugh has been my favorite actor and my child hero since the age of 8, my inspiration to pursue acting; my co-star and now my good friend and personal mentor.